Leesburg is a short 40-minute drive from D.C. but well worth the trip. Visiting this picturesque town in the rolling Virginia countryside is like stepping back in time. The downtown streets are lined with buildings more than a century old and they are lined with quaint shops and charming restaurants. One of the smallest national cemeteries in the United States, the cemetery at Ball's Bluff Battlefield nevertheless packs a wallop when it comes to history and emotion. More than 50 Union soldiers are buried here and there are also markers commemorating the Confederate soldiers who perished here as well. The battlefield marks the spot along the Potomac River where, in October 1861, soldiers from the north and the south skirmished on a bluff overlooking the river. Leesburg has quickly become a destination location for people in search of a special meal on a memorable occasions. Birthdays, anniversaries or just a romantic night out – all are good reasons to head to Leesburg's finest dining establishments. We're thinking of places such as the lovely Lightfoot, the chic Wine Kitchen, the elegant Vintage 51 or the famed food at Tuscarora Mill. And for pizza head to Fireworks Pizza. Yum! The Leesburg Corner Premium Outlets attracts bargain hunters from around Northern Virginia and the District of Columbia. It features more than 100 stores and some of the biggest brands in the business – names like Ann Taylor, Burberry, Michael Kors, Ralph Lauren Polo and Saks Fifth Avenue line the mall's pathways. 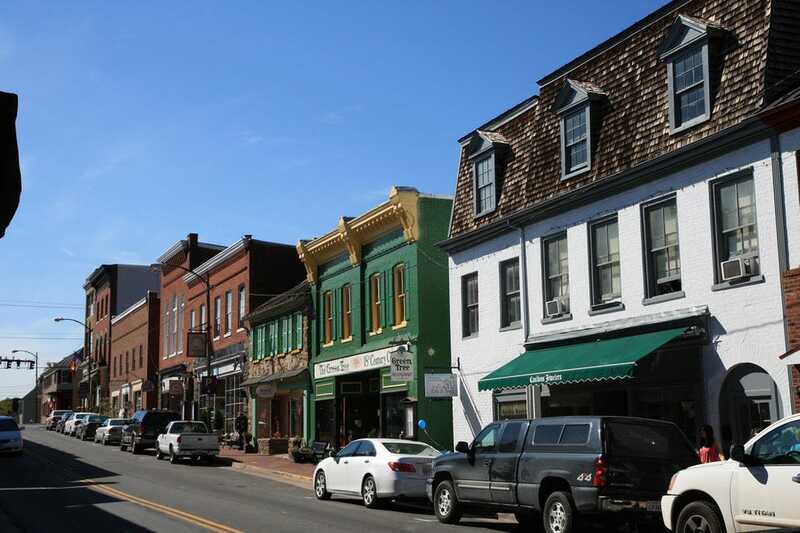 With a food court in the mall and many restaurants in the immediate area, shoppers can make a day out of a trip to Leesburg.